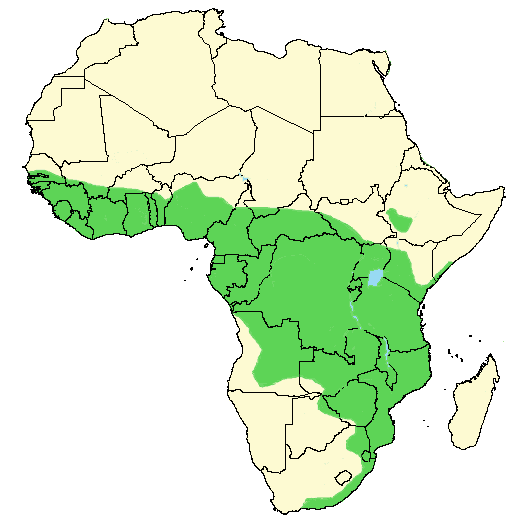 The African cuckoo-hawk (Aviceda cuculoides) is the only species of baza found on mainland Africa. It is a bird of prey with a strong physical resemblance to the common cuckoo. Backside is dark grey and underparts have clear and visible bars on a white background. It has a recognizable red patch on the neck situated just below a small crest. Like all species of baza, it has two tooth-like indentations on the upper mandibles of the beak. Males are more contrasted in coloration with a darker overall appearance, clear red bars, and dark red eyes. Females (see main picture) have yellow eyes and brown bars. 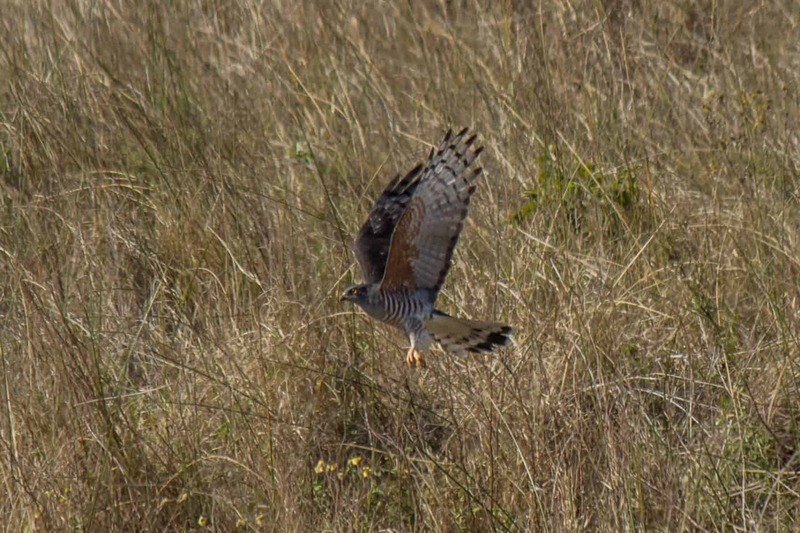 Juveniles are brown with a spotted pattern on white underparts. 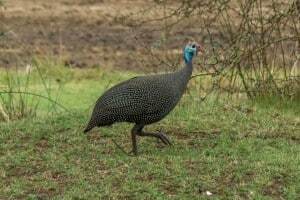 It is a medium-sized bird with lengths from 38 to 42 cm (15-16.5 in). 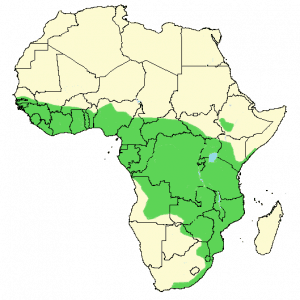 African cuckoo-hawks prefer dense woodland and forest habitats, as well as forest edges. It is solitary and rarely found in the company of an individual of the same species. It is a seldom seen bird with secretive habits, but can occasionally be seen gliding between branches amongst trees. It generally feeds on invertebrates, but will also feed on small lizards, snakes, frogs, birds, and rodents. Hunting is often done in low vegetation and grass, where prey is caught on the ground. Prey can also be caught in trees. 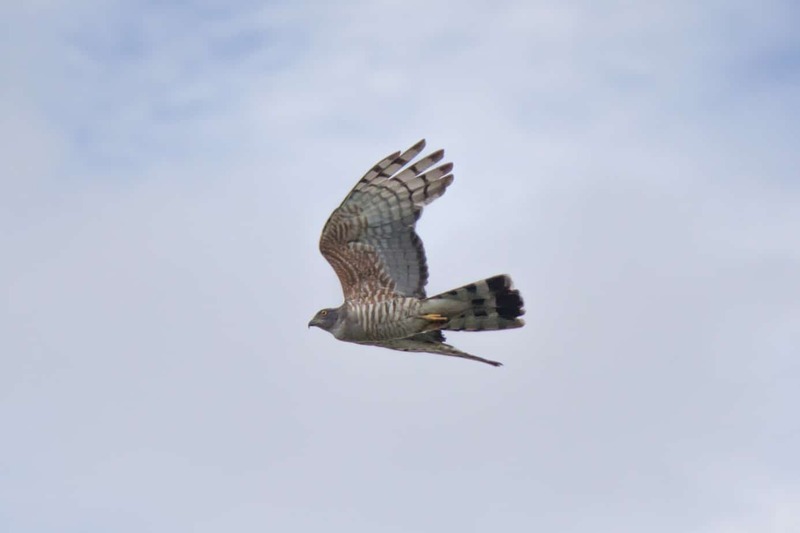 The African cuckoo-hawk is a monogamous, solitary nester that breeds in the season September-March, with peaks in October-December. A breeding pair will build a nest together, generally in the highest branches of a tree 10 to 30 meters above ground. The nest is built of vines, twigs, and leaves. One or two (rarely three) eggs are laid and incubated by both sexes for 32-33 days. After hatching, the chicks will spend about 28 days in the nest as both parents feed them. They will depend on the parents for another week or so after leaving the nest. 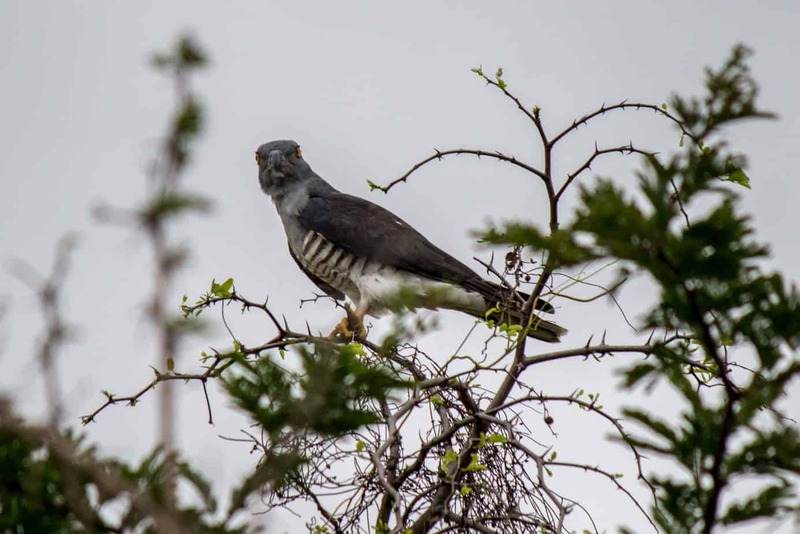 The African cuckoo-hawk is uncommon throughout its range, but that is mostly because of its secretive behavior and not because it is threatened. 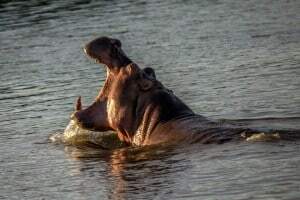 Population size is for now deemed to be stable and it is listed as least concern on the IUCN Red List.